Today, January 23rd, is Measure Your Feet Day! No doubt one of the biggest foot days on your calendar. And a day, sadly, that very few people look forward to… let’s see if we can change that. Feet are an often neglected part of our bodies, hidden away in socks and shoes and then tucked under a desk and out of sight. Today is the perfect day to show your feet a little extra attention. Since taking your feet out for a drink might be a little awkward, we recommend getting to know your feet a little better by measuring them. Why should you measure your feet? If simple curiosity cannot convince you to whip out a tape measure, consider this: having accurate foot measurements will help you buy shoes in the correct size for your feet. 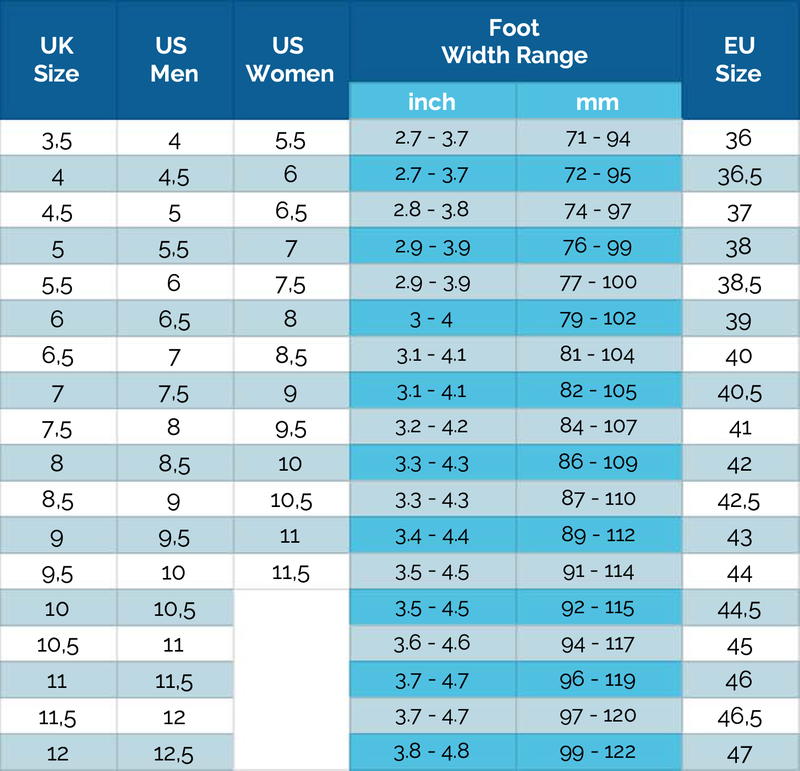 Since shoe sizes vary between manufacturers, your actual foot measurements are a more reliable indicator of your shoe size than the number of EU 39 shoes in your wardrobe. And buying shoes that actually fit will spare you the discomfort and potential injury of wearing shoes that do not fit. Anywhere between 25% – 75% of people wear the wrong size shoe for their feet (lots of research, lots of conflicting findings). I will spare you the pictures available showcasing the array of conditions caused by incorrectly sizes shoes. Think hammer toes, bunions, corns, ingrown toenails, blisters, etc. But incorrectly sized shoes also increase the risk of pain and problems in your feet, ankles, legs and even your lower back. Poorly fitting shoes can also alter your gait and distort your posture leading to DISASTER (or just the pain and discomfort we mentioned earlier). A day dedicated to the practice, curiosity, avoiding the pain of shoes that don’t fit: all good reasons to measure your feet. Grab a piece of paper, a pen, a ruler, a wall, a friend and the feet you want to measure; then simply follow the steps below. The best time to measure your feet is in the evening since feet tend to swell throughout the day. Step 1: Place a sheet of paper on the floor against a wall. Put your foot on the sheet of paper with your heel touching the wall. Stand up straight and balanced on both of your feet. Step 2: Have a friend draw a line tracing your foot (this might tickle a bit). You can do this yourself, but you risk a slightly less accurate measurement. Now, repeat step 1 and 2 with your other foot. Step 3: Measure the maximum length of both of your feet. The length of the longer foot will be decisive for determining what shoe size you need. Step 4: Measure the width of your feet parallel to the short edge of the sheet of paper. So do not measure the width diagonally from widest point to widest point, that will skew the result and make most feet seem ridiculously wide. How do I use my foot measurements to determine my (TOKAY) shoe size? 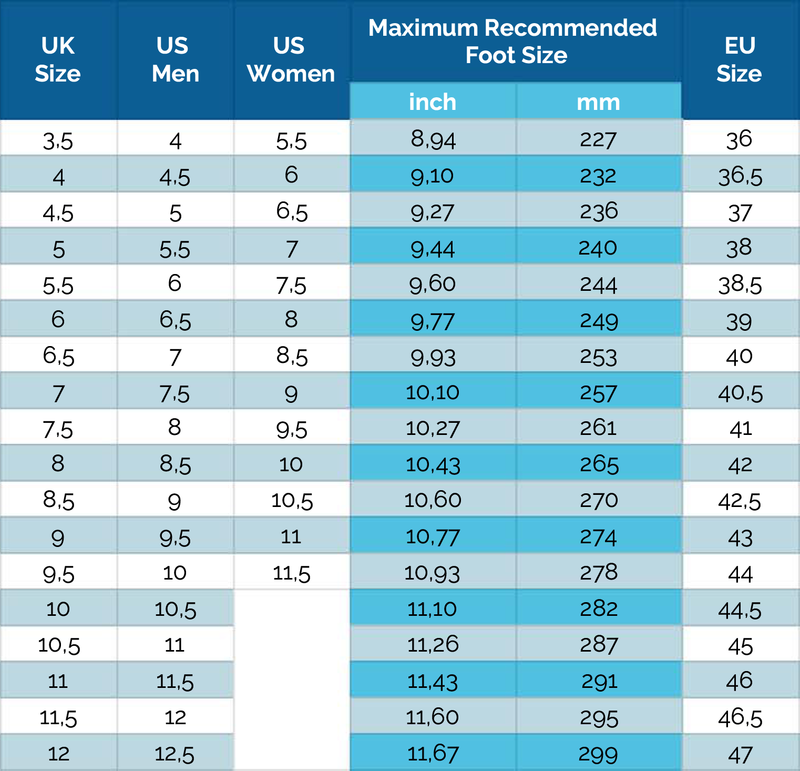 Check your size in the chart below by choosing the shoe size with a “maximum recommended foot size” equal to or larger than your own maximum foot size. This is our TOKAY size chart, obviously only useful for determining your TOKAY size. As mentioned previously, shoe sizes vary between manufacturers, so don’t be swayed by the size your current cleats or shoes claim to be. The width chart above shows the standard foot width range for TOKAY cleats. If your feet are narrower than the standard foot width range, you can choose a smaller size. If your feet are wider, you can choose a larger size. We recommend not deviating more than one size from the size you selected according to the length of your feet. You have now successfully celebrated Measure Your Feet Day by measuring your feet. You might now also know your ideal TOKAY size. We know just what to do with that intel: buy some TOKAY cleats! Here is a link to our store, just in case you need it. If you have any questions about measuring your feet or our sizing system, be sure to get in touch. And continue having an incredible Measure your Feet day!